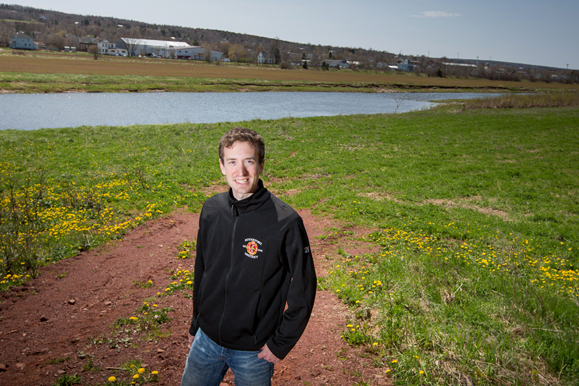 A passion for conservation and dedication to community service has earned Nicolas Wentzell the 2016 IMPACT Award for Environmental Leadership, presented during the annual awards ceremony on April 4th on the Dalhousie Agricultural Campus. This award recognizes a student for their commitment to providing leadership through creating and maintaining a sustainable environment through campus activities and in the community. Nicolas is well known on campus for his dedication to community work through volunteer fire fighting and his work with Ducks Unlimited. The CWRC was founded in 2001 by alumnus Helene Van Doninck and her husband Murdo Messer. The rehabilitation centre for wildlife is run entirely by volunteers in the community and they work to rehabilitate and care for animals who come through the centre, with the goal of releasing all back into the wild.